We select the best desirable pecans to provide you with the freshest pecans available! Have some delivered today! 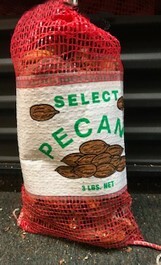 NEW CROP IN-SHELL PECANS AVAILABLE LATE OCTOBER. PRE-ORDER YOURS NOW! !